Hello, everyone! Welcome to DeNami's August Blog Hop! 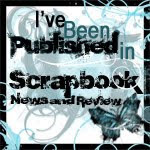 If you are following the blog hop, you must have come from Nicki Scheck's wonderful blog! If you missed the previous blog stops, you can hop back over to the DeNami Blog to start from the beginning. You have until August 15, 2011, 11:59pm PST to leave comments on all the blogs in order to be eligible to receive one of the two $20 DeNami gift certificates. Winners will be chosen randomly. Good luck! 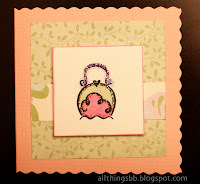 For this Blog Hop, I used 3 stamps from 2 sets of DeNami's Trifle stamps. There are 3 stamps in each set, and they can be used together on one card, or in this case, used separately in three different mini-cards. The mini-cards work really well as gift tags. 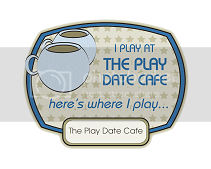 I have lots of fun colouring and stickling the stamped images because of the fun girly theme. I matted the images with patterned paper. Thanks again for stopping by! Your next stop is the very talented Karen Larkin's blog! Perfect girly cards - cute trio! This is such a cute girly set! Love the fanciful "shop till you drop" cards. These are so cute and girly! So great! I love the girly cards! Love, love, love these little gems! Great way to use the fashion images. Great coloring. Perfect cards for a fashionista=) Love these, they are so pretty! Very cute cards. 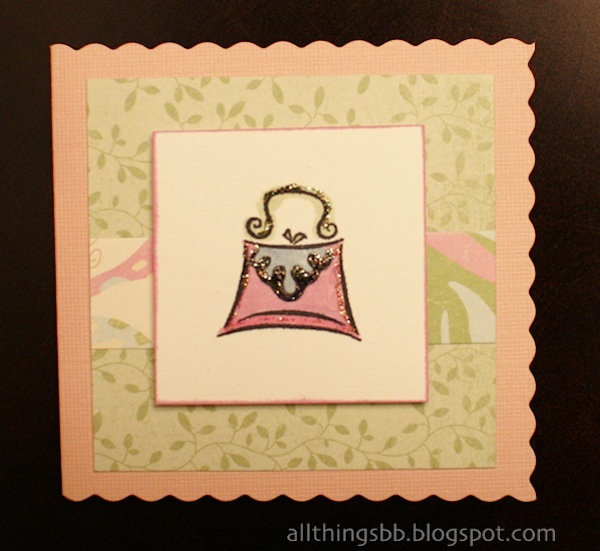 Love the colors and the sweet girly stamps. Love these cards, so cute! I love all the girly stamps, I have a ton myself, so I will have to break them out and try to make my own. Thanks for sharing! These are adorable!!! Love the colors and fashionista stamps. Oh these are fantastic, love the patterned paper your paired the purses up with. Those are just adorable. Great choice of colors. Cute girlie cards. Love them. What a cute girly set...I like that they do not have a sentiment. Simple and sweet as can be! Perfect cards for the girlie girls in our lives! TFS!! Soooo lovely! That may be the best coloring I've ever seen on those purses and shoes! Cute trio of girly cards! Love the girly cards! They are adorable! Aren't these fantastic! Great layers and love the PP! 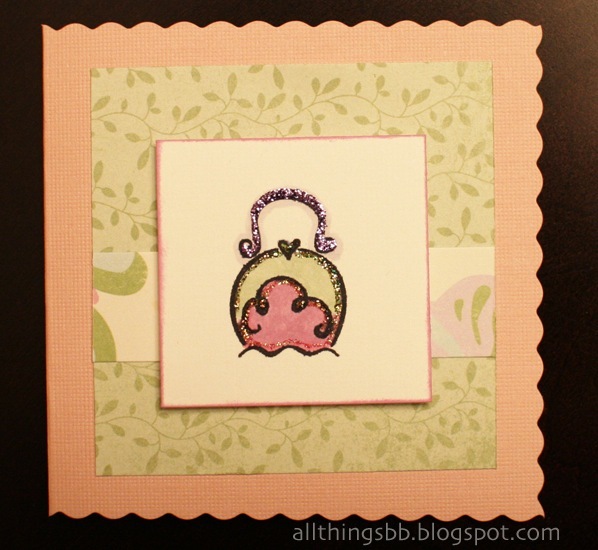 It goes perfectly with the oh so cute girly stamps! What darling girly mini cards! Love the colors and bits of bling! What a cute set! I love the vintage looK! The little scalloped edges are so cute! These cards are so sweet, Shirley! The patterned paper you used works so well with the Fashion Purses and Sassy Shoes! These are so girly and super cute!!! LOVE the decorative edges of the cards, the touches of sparkle, and your color choices!!! Cute little girlfriend cards. Always need a little note for a no resin for this gift. Very sweet and feminine cards! 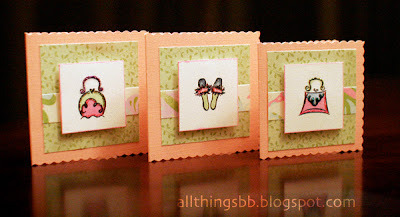 Very cute and fun girly mini cards! Love the girlie cards! The color combo is so sweet and matches the set perfectly. My 24 year old girly girl would love a set of these cards to use for her friends gifts. Thanks for sharing. Adorable cards. I love the girly stamps that you used. Great colors. What fun and cute cards! Thanks for sharing!